Although it’s the first day of Blogmas, and we’ll be getting Christmas-y tomorrow, don’t you worry, the start of December also means the end of NaNoWriMo. In thirty days, writers are challenged to get 50,000 words down of their book. That’s 1667 words a day. Bee and I definitely had it easier than most, halving the word count between us, but we thought writing 800 words a day was going to be a stretch after not writing consistently since July. We’re so proud to say that with a lot of hard work and motivational hurdles, WE WROTE 50K! WE WON!! Throughout NaNo, we kept a chart of our word counts and we thought we’d run through some stats, because who doesn’t love some numbers? Congratulations to anyone else that won NaNo, and well done to anyone that took part because however many words you wrote, you’re that much closer to finishing a book! NaNoWriMo: Mid Month Check In! This year, things are different. We’re not quite at 30,000, but we’re chugging along after a couple days of not writing in favour of planning out a few more chapters (and watching the One Direction: This is Us documentary…it was research, we swear!) Our WIP overall is sitting at around 40,000 words so we’re getting into the tricky territory of The Middle, where ideas and motivation go to die. To keep ourselves motivated, we created a MyWriteClub account to track our goals, and because an online version wasn’t enough in the form of the NaNo graph, we made a sticker chart to keep ourselves accountable. Different colour stars have different word count weights and an emerald star is the highest tier at 2,000 words. Our most successful day was the 3rd, when we somehow managed to churn out 4.5K, followed by the 11th when we wrote 4K. Seeing gaps in the chart for the days we didn’t write does make me feel tragically sad, so it’s definitely working as far as encouraging us to make writing a daily practice. Seriously, stickers are motivating as heck. Why didn’t we remember this from when we were kids? It’s a tried and tested method to success. If you’re doing NaNo, keep going! Even if you’re not at the word count for hitting 50K, you’re still writing more than you would have if we weren’t doing it! It’s pretty obvious that our blog has been a little inactive this month. We’re two weeks into November and nothing bookish whatsoever has appeared! But, that’s all because of one thing: NaNoWriMo! This month, Bee and I are both attempting to write 50,000 words of our current, individual YA projects. We’re almost on target for achieving the goal, and both have over 20,000 words down so far. It’s a big deal, and takes a lot of time that I’d usually spend reading out of my day, but it’s worth it. We studying English Literature and Creative Writing at university. Writing essays and short pieces that fit our class briefs has become second nature to us, but it has meant we’ve sacrificed working on our own projects to do what’s demanded. NaNoWriMo is so great because it gives you an excuse to make time for writing what you love, but in order to maintain our work schedules, we’ve had to sadly sacrifice reading as much as we’d like to in order to write. As per tradition, Bee and I will be participating in Blogmas. That means you can expect a post on Heart Full Of Books, every day for twenty five days, up until Christmas.We’re really excited to put time aside to give our blog some love, and anytime we’re not writing, reading for class or sleeping we plan to spend preparing to make this year’s Blogmas the best one yet! 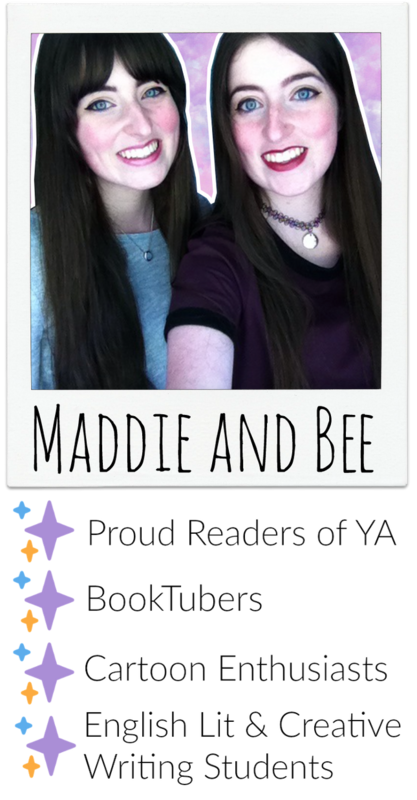 Maddie: here, and Bee: here! If you want to see what we plan to read when NaNoWriMo is over and we can get back to the sweet world of books, check out our December TBR video! As of yesterday, Bee and I started University. Like, actually started. Moved out, moved in, went to the welcome meetings. Unfortunately, the dawn of university means the death of my reading speed. So, I wanted to just warn you all that reviews may not be written and uploaded as frequently as they have been so far this year. Onwards to read more university books….but less books in general. Yippee! We just wanted to thank everyone for viewing and liking our posts on our blog while we’ve been slightly absent! May 7th was our year anniversary, and since then, we haven’t been doing daily posts, like usual…as you may have noticed. In the next few weeks, we have our A2 exams, which are the final exams we sit before we go to university in September. So, we’ve been super busy revising for those and that’s the reason why we haven’t been posting so much.